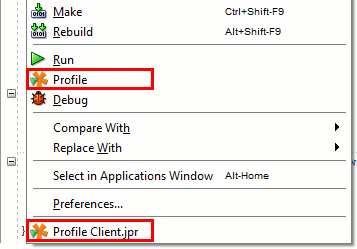 Use Profile from within IDE... action on Welcome screen or in "Tools" menu, select "JDeveloper" and follow the instructions. 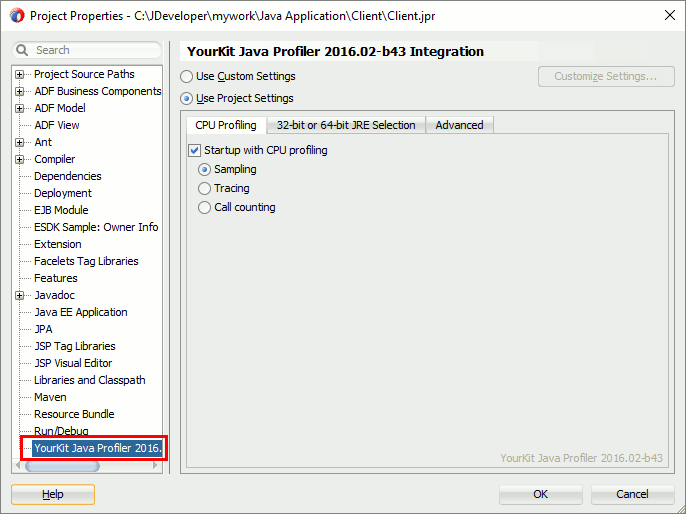 You can configure profiling parameters in the Project Properties dialog's node YourKit Java Profiler. By default, the plugin attempts to automatically detect the JVM kind by obtaining available information from JDeveloper. For particular run configurations this may happen that the automatic detection is not possible. In this case Profile will fail with an error like Error occurred during initialization of VM. Could not find agent library printed in the JDeveloper console. In this case use the "32-bit or 64-bit JRE Selection" section to specify Java bitness explicitly. The navigation action works on the current selection and is available in both CPU and memory views. 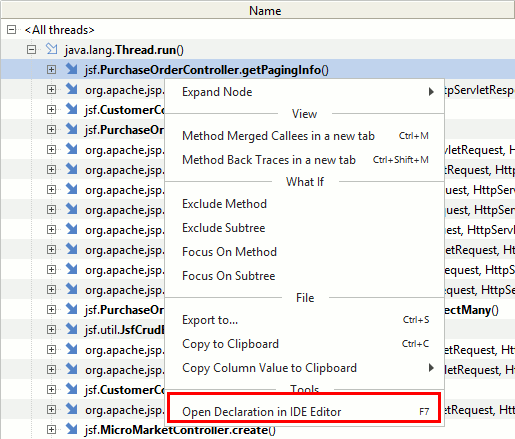 Note: navigation to inner classes is not possible because JDeveloper does not provide appropriate API.